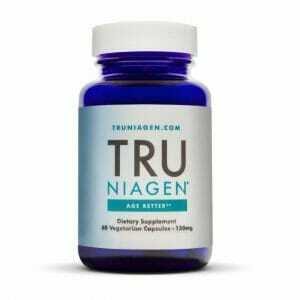 TRU NIAGEN PRO is the next step in nicotinamide riboside (NR) supplementation. This is all thanks to a higher dose of NIAGEN – a patented ingredient which is designed to be readily converted to NAD within the cells of the body. This is helpful due to the fact that declines in NAD levels are closely associated with old age. Purchasing this product today earns you 80 DR Reward Points! Nicotinamide adenine dinucleotide (NAD+) coenzyme molecule. Each capsule contains a powerful 300 mg dose of NIAGEN. NIAGEN has shown great potential for boosting NAD levels in cells. Designed to support cell metabolism and nutritionally combat the aging process. Vegetarian capsules contain the bare minimum of natural ingredients. A more potent and substantial version of TRU NIAGEN. If you’re at all familiar with the world of supplements and nutraceuticals, then you’ve probably heard about nicotinamide adenine dinucleotide (NAD). You may also be familiar with the oxidized form of this substance (NAD+ and NADH). 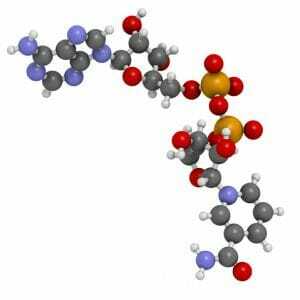 However, many people don’t know the first thing about this relatively obscure coenzyme. All living cells contain some trace of NAD. That might begin to explain why NAD has become such a hot topic throughout the nutritional world, but what does this substance actually do within the human body? As stated above, NAD is classified as a coenzyme. This means that it assists in the process of enzymatic reactions within cells. If that sounds a bit broad, that’s because it is! The functions and effects of NAD are extremely wide reaching, due largely to its presence in every cell of the body. One particularly notable byproduct of these enzymatic reactions is the conversion of nutrients from foods into usable energy sources for cells. 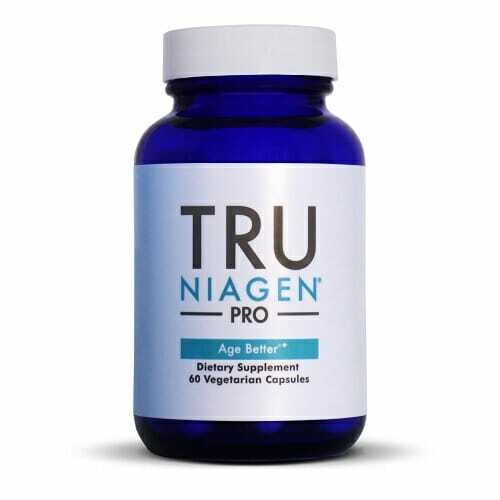 NAD is also essential to the health and function of the mitochondria.1 These are just a few of the multiple reasons that NAD is considered to be such a crucial player in cellular metabolism.2 That’s why TRU NIAGEN PRO has been developed: to offer an optimally potent dose of NAD boosting compounds, all in one powerful capsule! Declines in cellular metabolism and mitochondrial function are key identifying traits of the aging process. Given that information, it is understandable that NAD supplementation has become so desirable to so many people in the health and wellness community. However, NAD cannot be taken on its own. Instead, NAD supplements rely on a nutrient precursor which can be ingested and readily converted to NAD within cells. The most popular ingredient for use as a NAD precursor is undoubtedly NIAGEN. This patented ingredient, also known as nicotinamide riboside (NR), is a unique form of vitamin B3 which is widely considered to be the most effective and well tolerated precursor on the market. Other Ingredients: Microcrystalline Cellulose, Hypromellose (Vegetarian Capsule). NIAGEN® and TRU NIAGEN® are trademarks of ChromaDex, Inc. Adults take One capsule per day or as recommended by your healthcare professional. NAD⁺ content and its role in mitochondria.